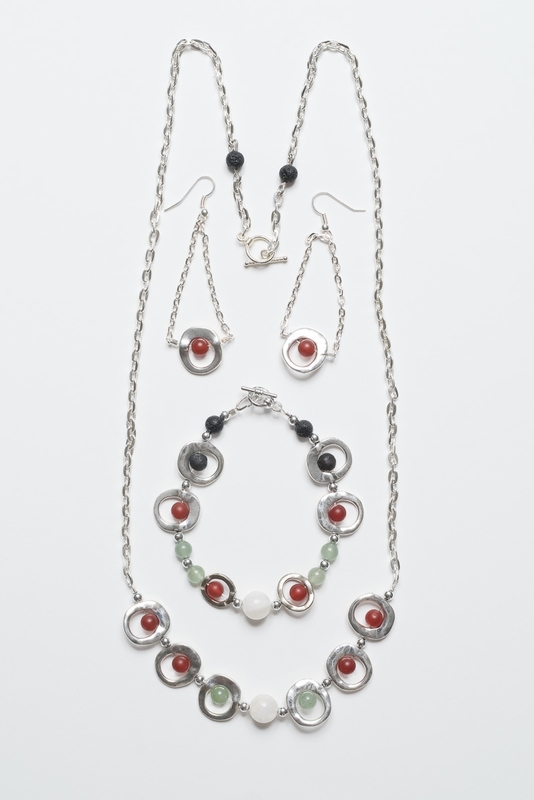 The stones in this set: Adventurine, Carnelian, Moonstone and Lava work together to promote weight loss when worn. Adventurine is the stone of opportunity. 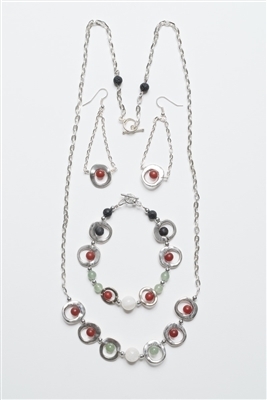 Carnelian inspires power and stamina. Moonstone encourages hope, enhances feminine energy and sensitivity. Lava comes from raw energy which stimulates re-birth. Use with essential oils to create a diffuser piece.